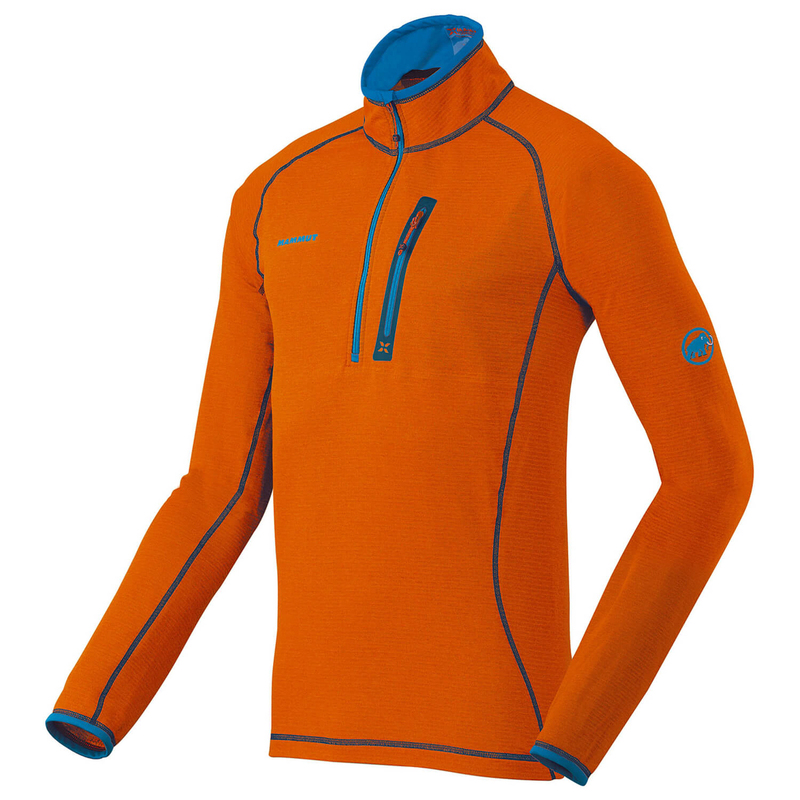 Lightweight, fast-drying and warm - the Eiswand Zip Pull Light by Mammut! Made of Polartec Power Dry, this fleece pullover caresses your skin without itching and serves as an excellent midlayer. On the inside, the pullover is blissfully soft and keeps your body warmth from escaping. Moreover, the high breathability, light weight and fast-drying properties of the material allow you to use the Eiswand Zip Pull Light for versatile outdoor activities! The flat seams provide additional wearing comfort on the upper body while the zip on the collar makes it much easier to put the sweater on and take it off! Of course, this zip also ensures better air circulation. With the practical chest pocket, you can keep your map or cash handy at all times! Mammut's Eiswand Zip Pull Light is a true all-rounder and suitable for ski tours, mountaineering, ice climbing and high-speed downhill rides on the ski slope.